Grew up in a very strict Mormon family—says that although her family supported her creatively, they didn’t support her value system. She has always been interested in photography—admits that before digital, it was an expensive hobby to maintain. Early in her career, she took a lot of freelance gigs and photo assistant jobs for other photographers in order to earn enough money to support her passion. Attended Salt Lake Community College to study photography—says that one of the reasons she went to college was to have access to their state-of-the-art darkroom. The emergence of digital photography and the changes it brought about in the industry encouraged her to learn more about publishing and writing to make her photojournalism skills more marketable. Was freelancing as a photojournalist when she was approached by the owner of SLUG Magazine to shoot a cover for them—has been working for SLUG Magazine since 1997. 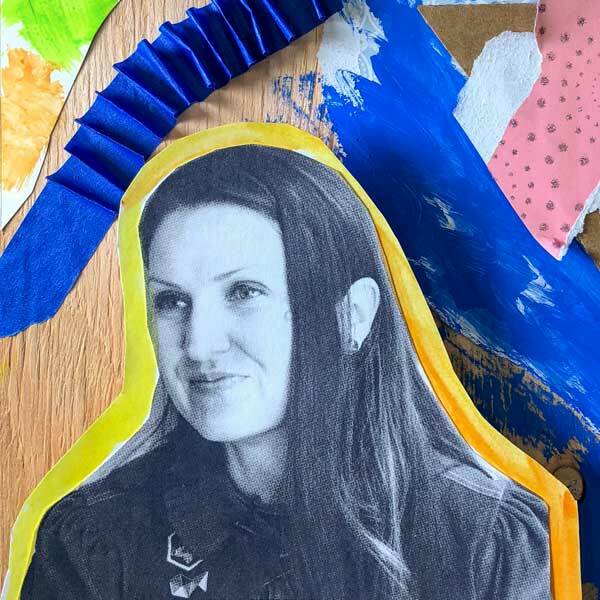 Her mission is to make Salt Lake City an inclusive creative community—also founded Craft Lake City, a nonprofit organization that showcases Utah’s handmade community with an annual DIY festival. I am the editor of SLUG magazine and founder of Craft Lake City seeking to build community and elevate creative culture. Finding solutions to problems, thinking creatively, and inspiring my team. You need to have passion in anything you do, but it is essential in a creative career. Jump! Don't think just do it! "Photography is too expensive. You should probably consider doing something different. " With the development of digital photography, it was becoming a very expensive hobby/career to maintain. I loved it and didn't want to quit, so I started exploring other ways to utilize my skills and that's how I discovered publishing. Art and photography are very expensive hobbies to maintain because of all of the supplies you need. I relied on a lot of side gigs and the generosity of friends to help me. When I first took over the magazine, I struggled with being a young female entrepreneur and constantly felt like giving up. It was difficult because I was living a totally different life than my friends and working really hard. I've always felt different from my family, my peer group, and where I grew up. I was always searching for a place where I could fit in and connect. I learned to appreciate Salt Lake City for what it is and what I could do to make it work for me.